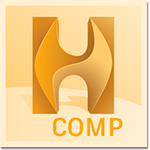 Helius Composite software offers detailed information on composite material behaviour without finite element analysis (FEA). Use Helius Composite to integrate materials into your designs. Build and size bolted joints. Select fabric type and base to compute lamina properties. Analyse laminates using a variety of methods. Export lamina to multiple FEA packages. Build an extensive database of materials and enter new materials to meet your needs. Understand the structural behaviour of composites without running FEA calculations. Predict laminate bending or warpage due to curing. Document and share your work in a variety of report formats.